Walking Street is the most famous nightlife area and even the proverbial 'One Night In Bangkok' pales compared to the Nightlife in this town. This Street is closed to vehicles from evening until next morning. Hence it's called Walking Street. Whatever you are looking for Pattaya Nightlife offers it all and probably some you haven't even thought of yet. From Hip Discotheques to the world's most famous transsexual cabaret shows. • and more and more european and russian girls as well. There are bars and discos with Western and Thai Live music and dance performances performed by local and sometimes international artists. The adjoining Sois or lanes are also packed with gogo bars, massage parlous, restaurants and beer bars. Walking down walking street is an eye opening and sometimes eye popping experience. Just when you thought you have seen it all Pattaya Nightlife might surprise you. but there are many more 'scenes' and things do so such as Devils Den. 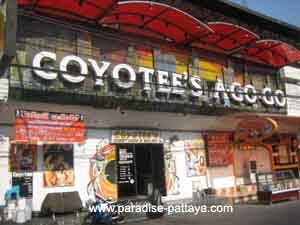 Further Down Beach Road you will find the Gay Nightlife area between Soi Pattayaland 1 and 3. The most famous here is Boyztown, packed with gay gogo bars and many Transsexuals or also called Katoeys can be found here as well. There are several other gay areas in Pattaya with gay bars and clubs if that is what blows your skirt up. There are also gay and ladyboy areas in Jomtien and its famous Dongtan Beach, which is also known as the 'gay beach'. At night transsexual freelancers frequent the Jomtien beach Road. In Central Pattaya you have Soi 7 and Soi 8. These Sois or lanes are located between 2nd Road and beach Road. Find out more about what has happened to the "Thailand Brothels" while you're at it. Like in most bars in Pattaya if you buy a bar girl a drink they will sit and chat with you. The girls like to play board games which is a good ice breaker, it's fun and helps over coming the language barrier. What About The Go Go Girls? The bar girls are a lot fun in Pattaya even if you do not intent to bar fine them. Some speak english but most of them have a very limited English vocabulary depending on how long they have been working in a bar. If they speak good English that's usually an indication that they know the bar scene quiet well. But that is not always the case either. The bar fine is usually 200 baht if you decide to spend more time with a girl. Before you fall in love find out first if you can ever really date Pattaya ladies. seems to be 1000 Baht. The Pattaya bar girls make money when you buy them a Lady drink and they usually receive a fraction of the bar fine. Then you also have the quieter North Pattaya where you'll find bars, massage parlors, gogo bars and restaurants as well. 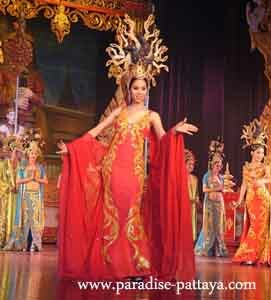 In North Pattaya are there are also two popular transsexual cabarets. Both establishments starring the world's most glamorous live performances performed by Transvestites in glittering costumes and evening gowns who mine and dance. These live Cabaret Shows are a very popular tourist attraction. Ever wonder why there were ladyboys in Pattaya at all? Besides the adult entertainment in the Pattaya Nightlife there are also many laid back restaurants with soft background music if you want to enjoy a quiet evening. Many people visiting Pattaya become addicted because there is so much fun to be had in this town with its wild Nightlife. It is easy to spend a small fortune. Take as much money with you as you can afford to spend because spend you will. When you go out in the city leave your valuables at your hotel and take with you only what you need for the night. You never know what some of the women in Pattaya want or will do. This city attracts a lot of different types of people (some of the shady kind) and you don't need to make yourself a target for an unpleasant experience. It doesn't happen often but it does happen from time to time. Pickpockets are anywhere in the world where crowds gather. Be safe and have fun. 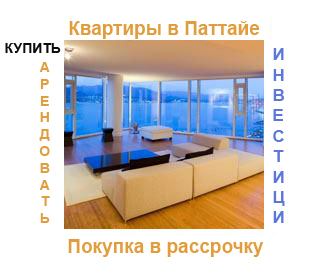 I am sure you will fall in love with the city and you will become one of the next "addict".